This is a card for Operation Write Home. I used sketch #317 at Mojo Monday for inspiration and used up a few scraps in the process. I need to do a lot more of this to use up all of the odds and ends that I’ve accumulated! Stay tuned. I think there is some major paper piecing in my future. Thanks for the visit today. 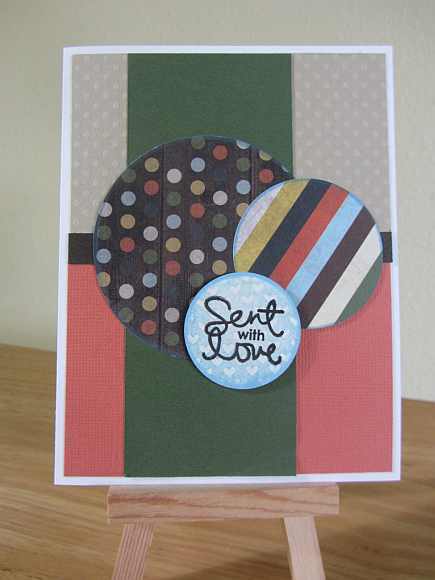 This entry was posted on Sunday, November 3rd, 2013 at 12:40 pm	and tagged with cardmaking, die cuts, Simon Says Stamp, stamping and posted in General Cards, Love, Mojo Monday, OWH. You can follow any responses to this entry through the RSS 2.0 feed.